Welcome to Morgan’s On Main, in many ways a restaurant at the center of Yolo County; in location, cuisine and spirit. With service that evokes the warmth of home and food that rewards the busiest of days and the grandest of celebrations. Our goal is simple; each visit is more than a meal, it’s an experience. Whether it be our signature steaks, famous chicken and waffles, or an artful appetizer, each experience is crafted for the best in comfort and memories. We welcome you to share with us in the bounty of Woodland's rich agricultural history and culinary heritage. Your table is set and ready for you to enjoy. Great service. waiter was very attentive and professional . enjoyed the food and will be back! Predictably good. However, my lamb shank was not nearly as flavorful this time as every other time I’ve ordered it. Lights were too bright over the booth. Noise level this time was higher than usual as well. Everyone was very nice. The food was incredibly delicious. As were the drinks. Definitely going to be going there again. Jess our server was Great! The food here is always great and I like they offer many Specials not just one. We took my mother-in-law here last night for her 70th birthday dinner. She had told us this place was good, but we were skeptical. 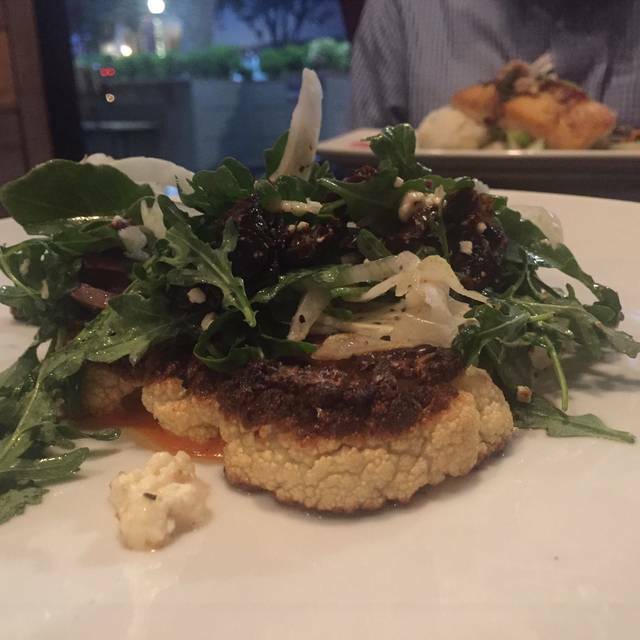 Why would we leave downtown Sacramento and all its great restaurants to drive to Woodland for a nice dinner? Well, I’m happy we did. The building is great. I’m not sure what it was before, but the exposed brick and cozy booths make for a great dining experience. The service is top notch. We were seated in the back room by the bar and served by Christina, who was awesome. Attentive without being annoying. She didn’t act annoyed that I brought my own wine (although please post your wine bottle list online because maybe next time I’ll buy one there). Now the food - everyone loved everything. I had a great Brussels sprout salad and the cannelloni. Several people raves about the chicken. My daughters shared the prime rib and they brought it out on two separate plates so each got their own portion and sides. Nice touch. If anything needs to be improved it is the desserts. The cheesecake was great, but everything else was mediocre. If I’m going to have a mediocre part of the meal this is where I want it, but if they dial this in the place would be that much better. I will definitely go back. It’s worth the drive from Sac to try something different and enjoy what has become an adorable little downtown in Woodland. Plus, it’s nice that it’s essentially across the street from Blue Note Brewery, which is also worth the short drive. The food was perfectly cooked and seasoned. The pork dish was delicious. The salad was great. Lastly, the Deviled eggs were amazing! Awesome meal, will definitely be back! First time we got to sit in the booth at the entrance. The noise level was lower there. We had a great meal and good service. Excellent food. Excellent service. We will go back soon. We dined early and sat in the lounge. The steaks were very good, as were the potatoes. The bread was fresh and warm. Very nice cocktails and service. Food service was extremely slow and when finally serviced, was cold the mashed potatoes, Mac and cheese was cold and prime rib was cold. Will not go to restaurant in future. Manager made it seem that this was not that bad. Wrong! When my guests & I arrived at the reserved time, there was no knowledge of my reservation & a table was not ready. We were seated near the door, which resulted in us feeling a cold draft every time the door opened. After ordering & receiving our beverages, we waited over 30 minutes for our lunch. My salad was very good, but one of my guests was not happy with her Club sandwich. I always love Morgan’s never had bad service great food would love to see more menu options come available ! JC gave great service. Food was awesome. Food was good quality but portions were small. They were out of macaroni and cheese. Who runs out of macaroni and chees? Disappointing visit. Dinner and appetizers were great . Dessert was a disappointment . was not fresh , had been refrigerated too long , bottom crust was very hard , no flavor . This dessert was the cheese cake , were not told there was coconut in it . Very unappetizing . Food needs to be served hotter . Outstanding as always We dine here on special occasions as the food, service and ambiance are always perfect! Food was excellent as always, but it took a LONG time to get our meals, longer than previous times. My husband and I enjoyed a very nice dinner on a Sunday evening. I ordered the pasta special, which was a shrimp fettuccini and husband ordered prime rib, both were excellent. Our drinks were fabulous and the service outstanding. We had a lovely dinner. Food was delicious and service was good. Our waiter was friendly, professional, & efficient. The food was gourmet & delicious! Would recommend! 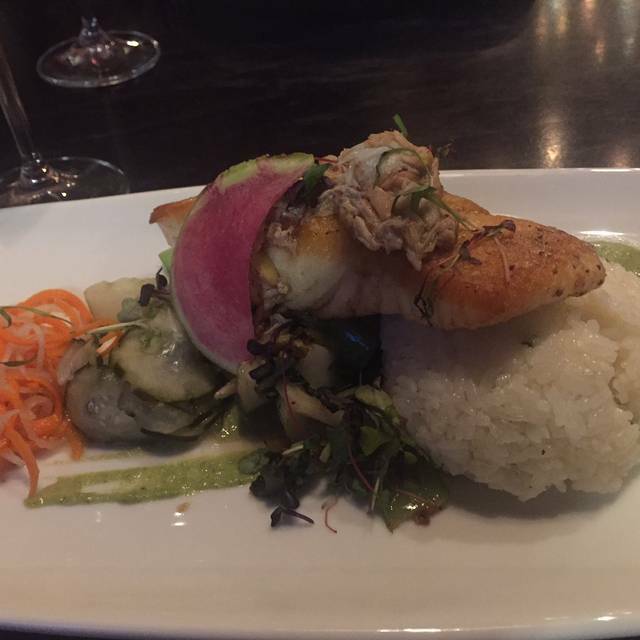 Our server Magnolia was excellent, very knowledgeable on the menu and great service. One suggestion for management, is to have music, it was very quiet the night we were there . This was my second time there and I will definitely be coming back! Last night, a Saturday night, we were lucky to have had a reservation. Very busy so the staff was hustling. Service was affected, but we had good conversation and the food arrived hot and properly cooked. Steaks are always a good bet and so is the fresh fish, although sometimes is slightly overly done. The beet salad was fresh and delicious. The seafood chowder was too thick. I’m always puzzled why chowders are thickened with flour on the west coast. On the east coast, a chowder is a milk or cream based soup chock full the seafood of choice with diced potatoes and delicately seasoned. Sometimes the potatoes thicken the soup by the end of the day, but no flour is used. I always wish for an authentic chowder, but am often disappointed. Good food, good service. Wish the place could be warmed up a bit though! So cold I had to leave my cost on. Had a birthday lunch,party of 5 ladies. We all loved it. None of us had been here before but will definitely be back! Always delicious with good service! Everyone was pleased with their food. Thank you! Everything was delicious I loved my chefs chop bone in ribeye. The finagling potatoes are absolutely sinful. Woodland’s deviled eggs are very tasty. 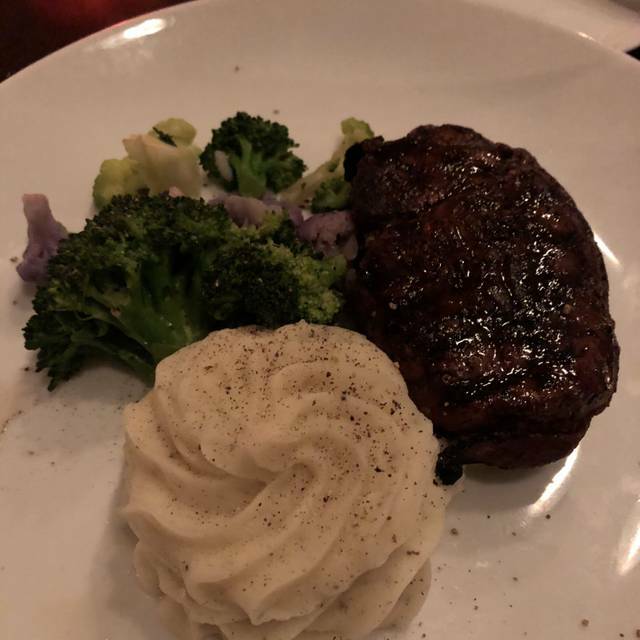 This is our second visit to Morgan's, and again we found it to be the very best option in the area. We did not experience any service problems as others have noted. In fact, our server knowledgeably explained the menu, delivered our drinks and food on time (and in order), and she took good care of us. We both enjoyed perfectly prepared NY steaks and sides. Will go again! This remains my favorite restaurant in the Davis/Woodland/Dixon area. Decor and food are modern, upscale, trendy without being overbearing. Food is always tasty and there's always something for everyone. I keep wondering why there are not more restaurants like it in the local area; but it's ok, we can just go to Morgan's. Great food has come to Woodland and we've been going since they opened.